Rhum Agricole??? Yes, we have it!!! 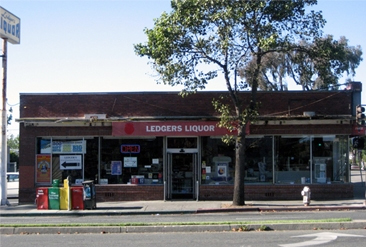 We know that Ledgers’ isn’t fancy or pissy-pants; and that it ain’t the best looking store on the block. All we ask is that you step inside to see what we have. We can promise you ‘SURPRISE’. Our shelves and coolers are jammed packed. The women in Ed’s life are always saying, ‘YOU HAVE TOO MUCH! NO MORE.’ Ed just shrugs his shoulders, and laughs. And like most guys, he walks away, and orders more. Once you get inside, you’ll understand our hesitation to tell you everything we have; we just don’t have the time to list it all out.